Why spend a fortune in hotel booking when bed and breakfasts offer the same services at a much cheaper rate? To be honest, it would be wrong on the part of these inns to compare them with the conventional hotels; they have undoubtedly taken over these hotels. You not only get a home like stay but the home cooked breakfast they offer would make your day. Bed and breakfasts are truly an escape within an escape. That said; check out the best black-owned bed and breakfasts that would delight you with the exceptional hospitality, amazing rooms and scrumptious hot breakfast. Experience the best African hospitality and their culture on your next stay. 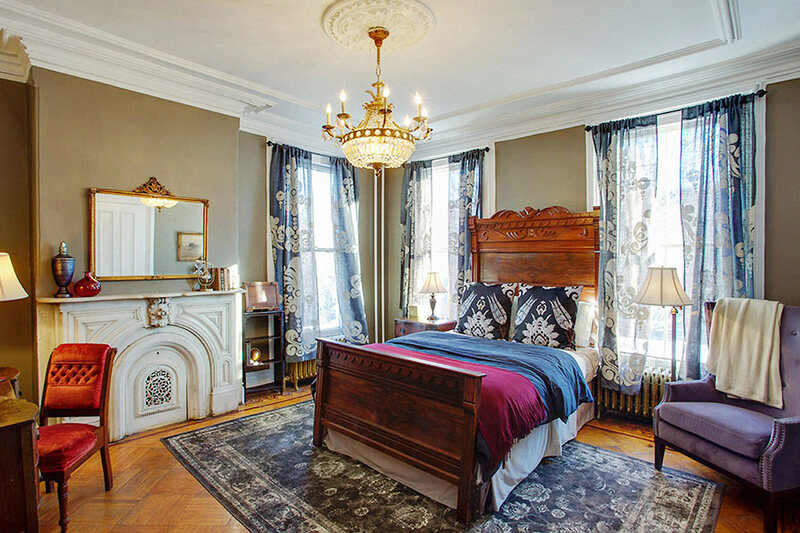 Started by the lovely couple Glenn Pogue and Monique Greenwood, Akwaaba Inns is the perfect bed and breakfast for those in search of a hominess and intimacy. The grandeur of the 19th century mansions fused with the excellent services makes this place the best stay for anyone. “It all started with a dream…” says Monique, when asked about idea behind the inn. There are a number of packages to attract. They offer room-spa services, bridal packages, girls’ night special, runaway special, procrastinators’ special, frequent stay program etc. Every package is designed to please your whims. The Mansion at Noble Lane: Bethany, P.A. This black-owned bed and breakfast offers special packages for girls’ weekend getaways, military special, romantic specials, spa services, picnic specials, group packages etc. Excellent food meets commendable hospitality at Morehead Manor. This bed and breakfast offers great amenities like resistance pool, parking facility and elevator services as well. Get cozy in the hospitable embrace of the innkeepers and enjoy your stay at the Inn of Treasured Memories. This black-owned bed and breakfast offers a home away from home. It has spa services, aromatherapies, luxury baths, romantic escape packages, wine tours, baby moon, anniversary, wedding and many more packages. They come up with seasonal packages with special arrangements for every season, be it fall, winter or summer, and that too on a special budget. Enjoy the luxurious stay here at affordable price under the hospitable embrace of your hosts. Staying at these black-owned bed and breakfasts would not only serve true to the words “home away from home”, but also ensure your safety and security. While the owners would be excellently hospitable in welcoming you, the meals that they offer for breakfast would be a delight to both the taste buds and tummy. Mentioned above were some of the best places to visit in order to relax the body and soul. Go ahead and plan your trip to these extraordinary bed and breakfast inns now. Palak Gupta, works at TourTravelWorld.Com. She is a globetrotter who loves to explore places, cultures, cuisines and everything that fall in my trips. Through her write-ups, she shares her travel experiences, the gripping stories of travel destinations and discuss on subjects that travel junkies show a keen interest in.